Getting the most from a Business Plan! an Appendix (optional) that includes relevant resumes, permits, or leases. With that in mind, here's a step-by-step breakdown to get you started with your business plan, along with a few expert tips on how to attract investors. The first step is to simply describe the business you would like to build. During this process you need to be honest about obstacles you're likely to face. This is because any investors that might be reading your business plan will be reading from a point-of-view of any problems that may arise. Issues will always arise for EVERY business leading investors to focus on who looks for those problems before they become problems and will resolve them before they're even an issue. 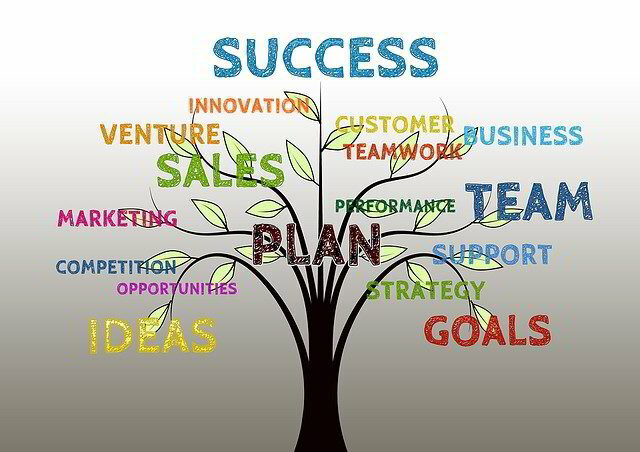 Your business plan is your first opportunity to demonstrate this! Including a breakdown of the target market and customers, as well as the factors offering a competitive edge will be useful not only to potential investors but also yourself later on. Be careful not to have any blinders on when it comes to your product or service. "People spend a lot of time focusing on the features that make them unique without taking the time to translate that into a value proposition," Do diligent research on what your industry currently offers, and how to communicate with customers accordingly. The most successful investors are looking for an idea that is going to have a clear and understandable market potential. 2. Have a thorough plan: Document all aspects of your company. An area many people forget that later can cause serious problems is any licensing, regulatory fees, copyright agreements and location strategy. Including this again shows potential investors that you're the owner that thinks through every area, leaving no stone un-turned... something money can't buy! Detailed documentation of accounts and projections also goes along way when it comes to potential investors but also helps focus your mind on figures you will request from investors. As most firms go under due to inadequate cash flow, it is always good to over estimate costs and request typically 10% more than needed from investors. This should also be stated to highlight the business know-how you possess to potential investors. 3. Make sure the plan is modifiable for different audiences. We recommend that you project that status of your company for between three and five years into the future, though it's a good idea to outline your annual goals too. Keep in mind that the further ahead you look, the less accurate your conclusions are going to be. Furthermore, we recommend updating your business plan every year as the company grows. 4. Include details to put you over the edge. When writing the market analysis, it's a good idea to include any information about external growth trends, and why one company might have the market share. Pricing power -- meaning how consumer demand would be affected if your company shifted its prices -- is one detail that often gets excluded from business plans, but which can help put you over the edge. 5. Remember why you care. Other priorities included raising the payroll for employees, offering competitive benefits, and possibly making an impact in the local community. Your business plan should reflect not only your financial goals, but also your values, and those of the community you're working to build.